An exhibition of traditional crafts from Huizhou area is on show at the Palace Museum in Beijing. The event began on April 11, 2017, and will run until the end of May. The Huizhou area has contributed handsomely to Chinese culture throughout Chinese history. Huizhou culture flourished in the southern Anhui region and influenced a wide range of fields - philosophy, literature, medicine, architecture, fine art, handicrafts and folk customs. 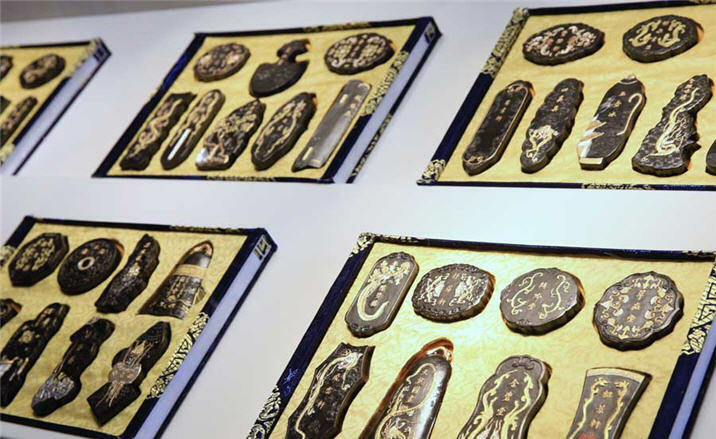 At the exhibition, more than 80 items like ink stones, ink sticks, paintbrushes, lacquer ware, bamboo carvings and stone carvings are on display. The traditional crafts used to be offered to royal families as tribute. Many of these items are still made today.